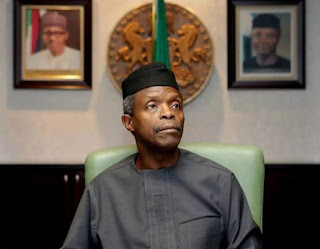 For the first time on Thursday, the presidency addressed the non-inclusion of the private sector in the federal government’s Economic Management Team headed by Vice-President Yemi Osinbajo, as was the case in the Goodluck Jonathan administration, stating that the decision was taken to prevent conflicts of interest. The vice-president’s spokesman, Mr. Laolu Akande, who spoke with journalists in Abuja yesterday, said it was the government’s responsibility to manage the economy. “We have to understand that the attitude of this presidency is that it considers the management of the economy as a government responsibility. “It is not something that this government believes should be done by bringing in some private interests into the economic team to take decisions that they will be directly involved in. “So our stand is that the management of the economy is a government responsibility,” he explained. He however pointed out that the private sector was not totally excluded from making suggestions to government, as members of the organised private sector such, as the Manufacturers Association of Nigeria (MAN) and the Nigerian Economic Summit Group (NESG), were being engaged by government. “For instance, we have started meeting on a constant basis with the Manufacturers Association of Nigeria (MAN). There have been meetings with representatives of the economic sector of the country. There have been meetings with the Nigerian Economic Summit Group (NESG) and some other economic interests with companies, making presentations. “But generally, this thing is a government team and the team has been able to set out before the budget was finished to figure out what the budget ought to focus on. “After the budget was presented and eventually signed into law, there was also the publication of the strategic implementation plan which was produced in a reader friendly format. “All of these are the outcomes of what an Economic Management Team does and it is also in the team where you have the heap of the whole fiscal and monetary policies, and don’t forget that monetary policies are always the duty and responsibility of the central bank which is an economic arm of government,” he said. Asked when the nation would begin to feel the impact of the decisions taken by the economic team and indeed the first fruit of the regime, Akande said the government of President Muhammadu Buhari was committed to charting a new way forward for the country.